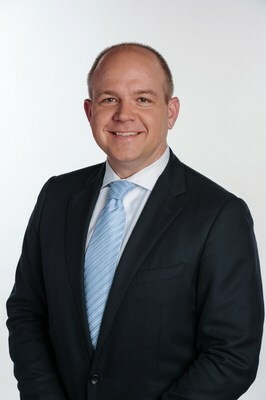 HOUSTON, April 1, 2019 /PRNewswire/ -- CenterPoint Energy (NYSE: CNP) today announced that Jason M. Ryan has been named senior vice president and general counsel. Ryan's appointment is effective April 2. Formerly senior vice president of Regulatory Services and Government Affairs at CenterPoint Energy, in his new role Ryan will oversee the following functions: regulatory services; government affairs; corporate governance; securities and commercial law; litigation and claims; internal audit; environmental; and ethics, compliance and privacy. Ryan will report to Scott M. Prochazka, president and chief executive officer of CenterPoint Energy. He also will serve as a member of the company's senior leadership team. Ryan replaces Dana C. O'Brien, who is stepping down from her role as senior vice president and general counsel for a new career opportunity. "Throughout his career at CenterPoint Energy, Jason has built a track record as an accomplished leader with proven expertise across a wide range of areas and disciplines," said Prochazka. "His deep knowledge of CenterPoint Energy and the energy delivery business makes him highly qualified to serve in this new role." Ryan joined CenterPoint Energy in 2009, after representing the company as outside regulatory counsel for nearly a decade. Prior to joining CenterPoint Energy, he served as a managing partner at the energy law firm RyanGlover LLP and as a global projects attorney at Baker Botts LLP. Ryan earned a bachelor's degree in Business Administration with honors from the University of Texas at Austin. He received his law degree with honors from the University of Texas School of Law. Ryan served as an Information Dominance Warfare Officer in the United States Navy from 2005 to 2015. He was appointed by Texas Governor Perry to the Texas Diabetes Council in 2013 for a six-year term ending in 2019. Jason currently serves on the boards of the Houston Bar Foundation and the Texas Gulf Coast Chapter of the Leukemia & Lymphoma Society. He is also a board member of the Association of Electric Companies of Texas. Headquartered in Houston, Texas, CenterPoint Energy, Inc. is an energy delivery company with regulated utility businesses in eight states and a competitive energy businesses footprint in nearly 40 states. Through its electric transmission & distribution, power generation and natural gas distribution businesses, the company serves more than 7 million metered customers in Arkansas, Indiana, Louisiana, Minnesota, Mississippi, Ohio, Oklahoma and Texas. CenterPoint Energy's competitive energy businesses include natural gas marketing and energy-related services; energy efficiency, sustainability and infrastructure modernization solutions; and construction and repair services for pipeline systems, primarily natural gas. The company also owns 54.0 percent of the common units representing limited partner interests in Enable Midstream Partners, LP, a publicly traded master limited partnership that owns, operates and develops strategically located natural gas and crude oil infrastructure assets. With approximately 14,000 employees and nearly $30 billion in assets, CenterPoint Energy and its predecessor companies have been in business for more than 150 years. For more information, visit CenterPointEnergy.com.